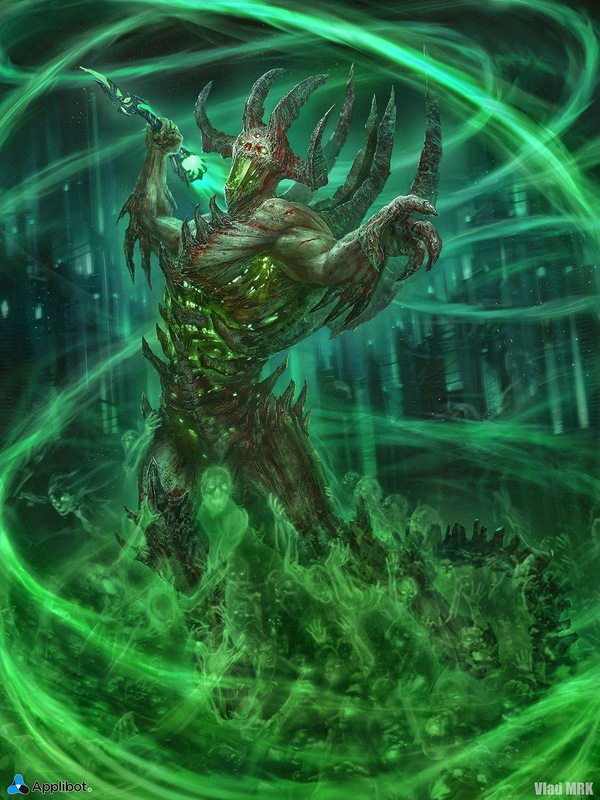 A flesh and blood Asmodian, driven by his lust for power, dared to venture into the ruins of the ancient city of the dead, Necropolis, seeking a powerful lost artifact: the headpiece from the broken staff of the Lich Queen, also known as the Whip of the Spirits. What the asmodian didn't know is that the whip cannot be controlled by anyone, not even by an elite demon like him. 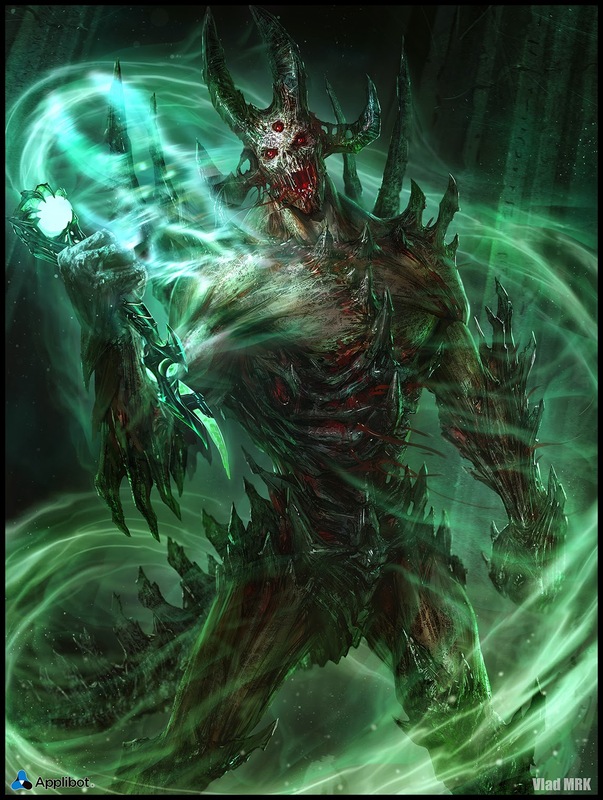 Now, after centuries, finding itself in the demon's hands, the Whip of the Spirits is draining the asmodian's blood and ripping his essence. Personally I think Asmodian is better, but I'm not talking about technical details, but only overall impression. However these demon looks really cool (especially third eye, it's small detail, but demon's much scarier and more disturbing). But, if it's lich KING, maybe he should have a crown? :D (Personally, I think it could be crown of horns :] ).